Since 1952, people of Nashik have never re-elected a sitting MP except in 1971 when the Congress' Bhanudas Kavade managed to retain the seat after winning it earlier in 1967. Sitting Shiv Sena MP Hemant Godse will be up against not only NCP candidate and former parliamentarian Sameer Bhujbal but also an uncomfortable fact in Nashik’s Lok Sabha poll history. Since 1952, people of Nashik have never re-elected a sitting MP except in 1971 when the Congress’ Bhanudas Kavade managed to retain the seat after winning it earlier in 1967. Godse had defeated NCP leader and former deputy chief minister Chhagan Bhujbal by 1.87 lakh votes in the 2014 Lok Sabha polls. In the 2009 general elections, Godse was second to Sameer Bhujbal by a margin of over 22,000 votes. In 1952, Govindrao Deshpande won from Nashik but was defeated in 1957 by BK Gaikwad of the Scheduled Castes Federation. Deshpande made a comeback as parliamentarian from Nashik in 1962 before his death the following year necessitated a by-poll which was won by Congress strongman YB Chavan, Maharashtra’s first chief minister. Kavade, who held the seat in 1967 and 1971, lost to Vithalrao Hande of the Shetkari Kamgar Paksha in the 1977 Lok Sabha polls. Hande, in turn, was defeated by Prataprao Wagh of the Congress in the 1980 polls. The Congress nominated Muralidhar Mane for the 1984 polls who went on to win it before being defeated by the BJP’s Daulatrao Aher in 1989. Aher lost to the Congress’ Vasant Pawar in 1991 who in turn was beaten by the Sena’s Rajaram Godase in 1996. In the 1998 polls, Godase was defeated by Madhav Patil who then went on to lose to Sena’s Uttamrao Dhikale in 1999. Since 1991, the seat has been held two times each by the Congress (1991 and 1998) and Nationalist Congress Party (2004 and 2009), and three times by the Shiv Sena (1996, 1999 and 2014). 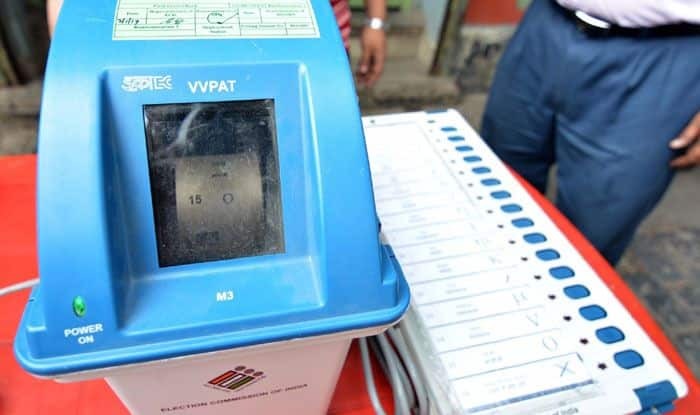 Nashik district comprises three Lok Sabha seats, namely Dhule, Dindori and Nashik, all of which will go to polls on April 29. Of these, Nashik Lok Sabha seat comprises Sinnar, Nashik East, Nashik Central, Nashik West, Deolali and Igatpuri Assembly seats.